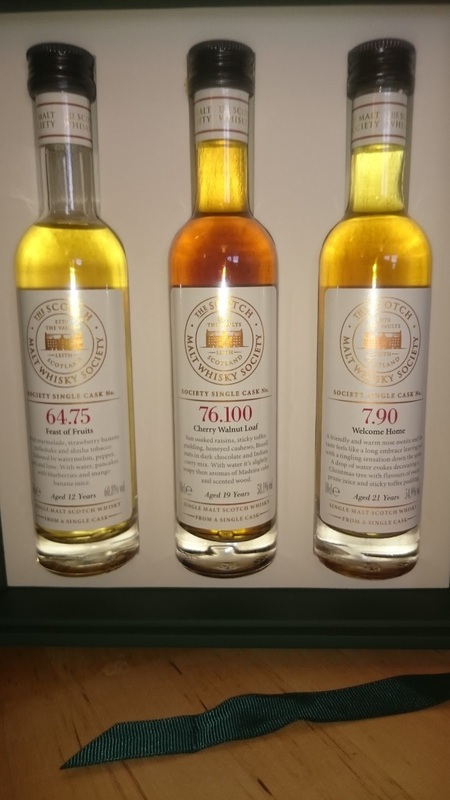 According to my sources 76 is the special code for Mortlach it’s 19 years old and bottled at cask strength coming in at a weighty 58.1%. It’s part of the tasting pack I received when I purchased the annual membership and I’m not sure how much a full bottle would cost but I’ll say now it’s a lot better than the last couple of Mortlachs I’ve tried. I tried this with a drop of water and it took it well but I’d be careful when diluting as older whiskies can be fragile. Nose. Ginger biscuits covered in dark bitter chocolate, sherry wood and sherried fruits, orange and lemon peel, stewed prunes, touch of coffee, burnt toffee. Palate. Big sherry burst, ginger, cinnamon and baked apples, stewed tea and then nutmeg and ginger biscuits, very spicy dram this with a bit of tobacco and leather that you often get with the older drams of this kind. Finish. Warm and medium length, gives a nice spicy feel. This is a good whisky and is miles better than the Rare Old and the 18 Year Old two pretty bang average official bottles.